Mundo Nuevo return to Carmen’s Friday October 19. We will feature Tapas specials and homemade Sangria Wine. Hard enough, it turned out. One renovation followed another and another, transforming the former Isabel’s on First and Adams Streets into a hip bistro, Carmen’s Café. 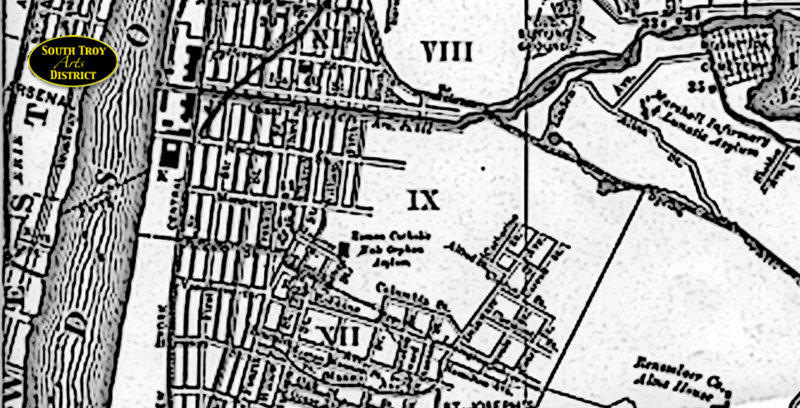 “People come up from the City and say,’Wow, this is like Brooklyn,’ “ said Carmen. “I tell them, ‘ No, it’s just like South Troy!’ Now, that’s a compliment.” Rotating art shows and live music on Fridays make the Café both a neighborhood hangout and a regional scene. “South Troy through Outsider Eyes” can be seen at Carmen’s Café, 198 First Street Troy. It starts with an Artist’s Reception from 5-8PM on Thursday, October 25 catered by Carmen herself. It closes on Christmas Eve with Carmen’s annual Community Potluck, open to all. Sonny & Perley – Jazz, Bossa Nova, American Songbook & International Cabaret. 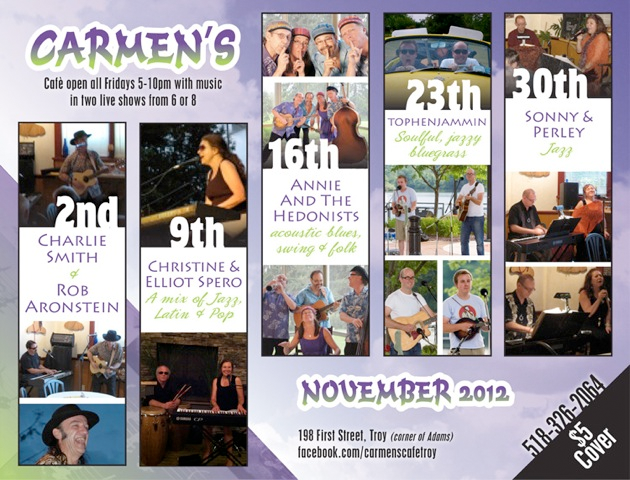 @ Carmen’s Cafe Friday October 5th. 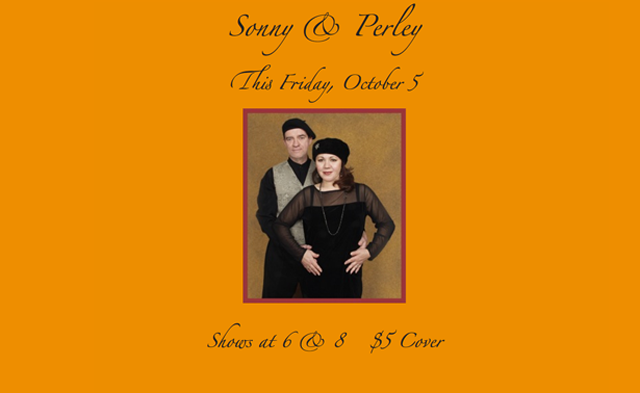 Sonny & Perley – Jazz, Bossa Nova, American Songbook & International Cabaret. Friday October 5th. Mohican artifacts uncovered at site – Times Union.